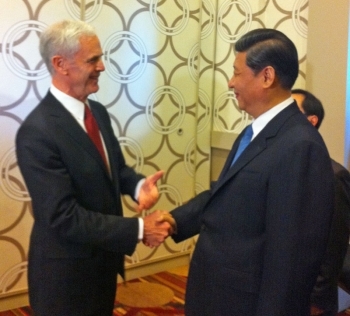 Commerce Secretary John Bryson spoke today at the U.S.-China Economic and Trade Cooperation Forum in Los Angeles, highlighting ways the U.S. and China can cooperate to establish a level playing field, generate economic growth and create good jobs. In his remarks, he addressed the need to achieve balanced trade growth and increase U.S. exports to China. Bryson also highlighted the progress of President Obama’s SelectUSA initiative, led by the Commerce Department, which is designed to help businesses from around the world, including China, make direct investments in the U.S. and create jobs for American workers. 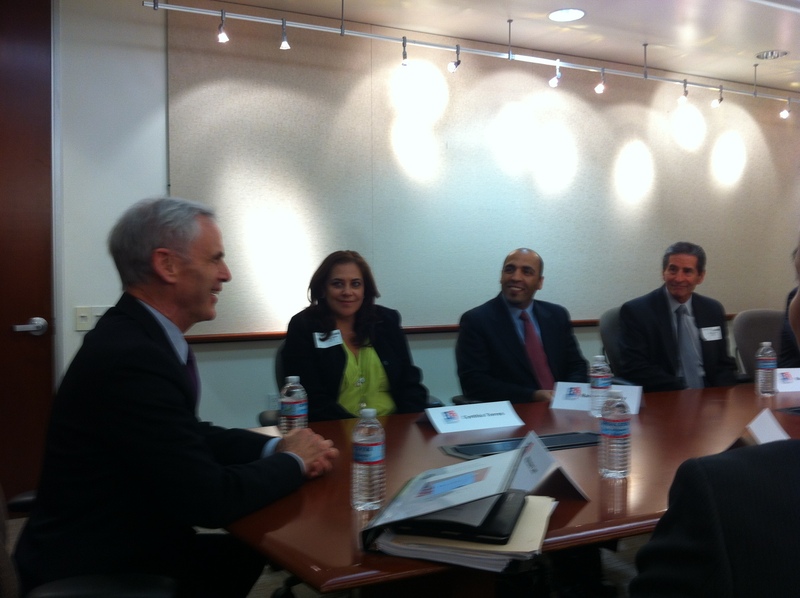 Los Angeles Mayor Antonio Villaraigosa, California Governor Jerry Brown, and Under Secretary of Commerce for International Trade Francisco Sánchez also spoke. Vice President Xi Jinping of the People’s Republic of China was the keynote for the event. The forum was part of Vice President Xi’s week-long visit to the U.S., the second of the planned reciprocal visits between the Vice Presidents announced by President Obama and Chinese President Hu Jintao during the latter’s state visit to Washington last year. Also today, President Obama announced new steps aimed at promoting American manufacturing and increasing U.S. exports to help U.S. companies build things here and sell them everywhere. In case you missed it, you can read an op-ed published today by Secretary Bryson highlighting the fact that American manufacturing and exporting are showing signs of growth, and how the president and the Commerce Department are helping to build on this progress and create an economy that's built to last. Today, Secretary Bryson returned to his home city and led a roundtable with Los Angeles-area businesses about trade with China. Bryson delivered the message that the U.S. and China need greater balance in our trade and economic relationship–and a level playing field for American businesses. To ensure a level playing field, the president has requested funding for an Interagency Trade Enforcement Center coordinated through the Commerce Department’s International Trade Administration and the U.S. Trade Representative’s office. This will allow additional advocates for businesses to challenge unfair trade rules and practices throughout the world. Bryson shared that in the past two years, U.S. exports to China have grown by almost 50 percent and they exceeded $100 billion for the first time in 2011. Vice President Biden has told China's Vice President Xi that America hopes that China does more to allow and encourage increased domestic consumption among its people, and this week they committed to allow non-Chinese companies to compete in selling motor vehicle insurance. With its enormous size, the Chinese market is ripe for made-in-America products and Bryson encouraged the assembled businesses to explore exporting. In fact, the Commerce Department has 120 Foreign Commercial Service officers in China ready to help them enter the Chinese market.